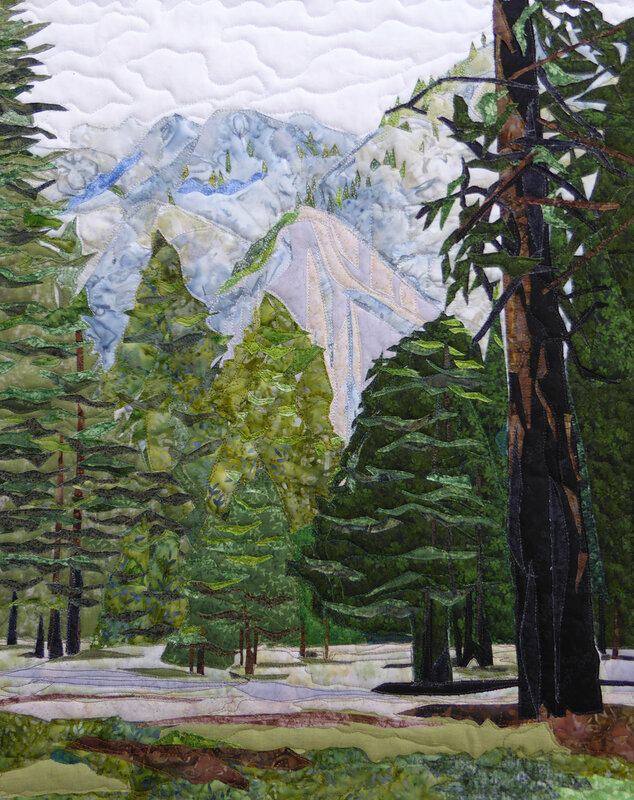 Author JerilynnPosted on April 17, 2017 April 17, 2017 Categories 2017, LandscapesTags Brooklyn Waterfront Artists Coalition, BWAC, California, cotton, fiber art, forest, free motion quilting, fusing, Hiking, machine quilting, mountains, raw edge applique, textile, WideOpen 8, Yosemite National ParkLeave a comment on Yosemite At Work is headed to Brooklyn! April 24 Update: Morning is accepted to Telling America’s Stories: Celebrating 100 Years of National Park Service at The Brush Art Gallery & Studios in Lowell, MA. The exhibit runs May 7 – June 10, 2016. I am so pleased to have my work included in another National Parks exhibit! When I began to work on various National Parks, I had no idea these kinds of opportunities would become available and I’m grateful for each one of them.